The movement of people and how they settle in a country coupled with the intermingling of ethnically diverse groups has always fascinated me. Although my family did not immigrate to the United States, I grew up in a predominately immigrant neighborhood in Chicago with people literally from all over the world. These early childhood experiences together with my desire to travel outside of the United States created a curiosity in me to understand how diversity “worked” in other developed countries. I was most interest in countries outside of the traditional western countries, so I decided to focus on diversity in Scandinavian countries. Therefore, I spent my Fulbright Schuman year in both Copenhagen, Denmark and Stockholm, Sweden. I visited immigrant neighborhoods; I talked to conservative and liberal party members; and I interviewed immigrants and policy makers. I gained significant insight especially from visiting and talking to people living in immigrant neighborhoods. One of my most memorable neighborhood visits was to the district Tensta, near Rinkeby, in Stockholm. Tensta is one of the most diverse districts in Stockholm and was placed on the Swedish no-go zones list in 2016—due to high crime rates. Tensta was built in the 1960s by the government to meet housing storages as part of the Million Dwelling Program in Sweden. The district has always housed predominately low-income earners and today houses mostly low-income earners with foreign backgrounds. I heard about Tensta from a Swedish colleague who has lived there for almost a decade. 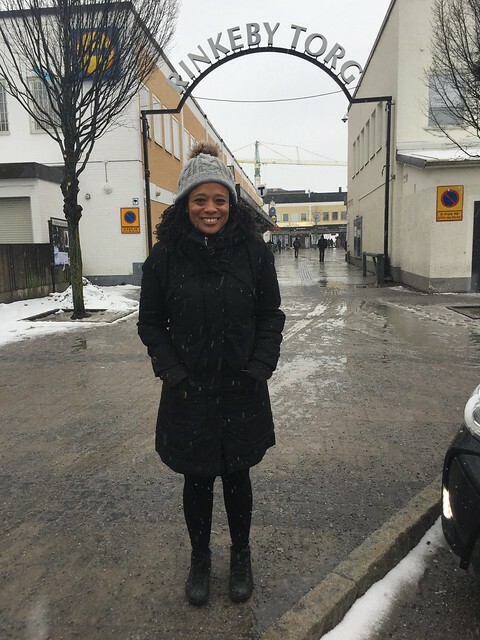 When she learned that my dissertation was about immigrant integration in Scandinavia, she offered to show me the beauty and diversity of her neighborhood that she said was often portrayed as dangerous by the media and politicians. I met her on a cold wet Tuesday afternoon in March. The snow on the ground was the consistency of a 7 Eleven Slurpee but without the colors. My friend was running a little late and I was a little early, I decided to wait for her inside the Tensta station. Within a minute of me waiting, I saw a young man jump over the sliding barriers without paying the fare and walk calmly down the escalator to catch the next subway. I could tell by the look on ticket controller’s face that he wanted to react to the young man, but he did not. Instead the ticket controller made eye contact with me, rolled his eyes towards the guy and continued with his phone conversation. I had seen many people in Stockholm rush behind someone or use an object to hold the barriers open to board for free, but I had never seen someone actually jump over the barriers. As I was processing the entire situation, I was approached by another young gentlemen who asked me if I needed help. I had been in Scandinavia for about seven months (two months in Stockholm), so having strangers talk to me was unusual because typically people in Scandinavia do not talk to strangers in public spaces because it can be misunderstood as flirting or people do not want to “bother” others. I answered that I was Ok and waiting for a friend. He then asked if I wanted him to wait with me to keep me company. I thanked him politely and refused his assistance. Over the next few minutes strangers made eye contact with me or greeted me to recognize my presence. I felt like I was not in Stockholm, but in a lovely city in the Middle East or East Africa only we were in the dead of winter in Scandinavia. My friend eventually showed up and we proceeded to a café near the subway station. The coffee shop was a mixture of an art museum, community center, and hipster meeting spot. The owners developed the concept in 2016 to reclaim the neighborhood and showcase the positive aspects of the diverse populations who live in Tensta. They served mostly East African cuisine with many vegan and vegetarian options and yummy Swedish traditional fika pastries (i.e. Punsch rolls, Mazarins, cinnabuns etc. ), the food was an example of different cultures mixing together. The coffee shop/community center also hosted artists talks, art displays, and various social inclusion seminars. I was highly impressed not only by the food and coffee, but by the many efforts the center made to address issues in the neighborhood by using art. The coffee shop/community center exemplified for me the beauty of the diverse cultures in Sweden. I am forever grateful to the Fulbright Schuman [Program] that gave me the opportunity to learn about Scandinavia for a year. I am also thankful to the Swedish and Danish Commissions that welcomed me even though I was not officially part of their commissions. I am highly impressed by my colleagues at Aarhus University, Copenhagen University, and the many social justice organizations in Denmark that conduct research on diversity issues. My colleagues and friends at the University of Stockholm in the Department of Ethnology, History of Religion, and Gender Studies made my time in Stockholm worth every moment, especially during the afternoon “fikas.” Fika is a Swedish tradition where people take a break together at work for coffee, pastries, and a chat at least once every workday. This tradition I will carry with me to my future work places. I will forever remember this year in Scandinavia. 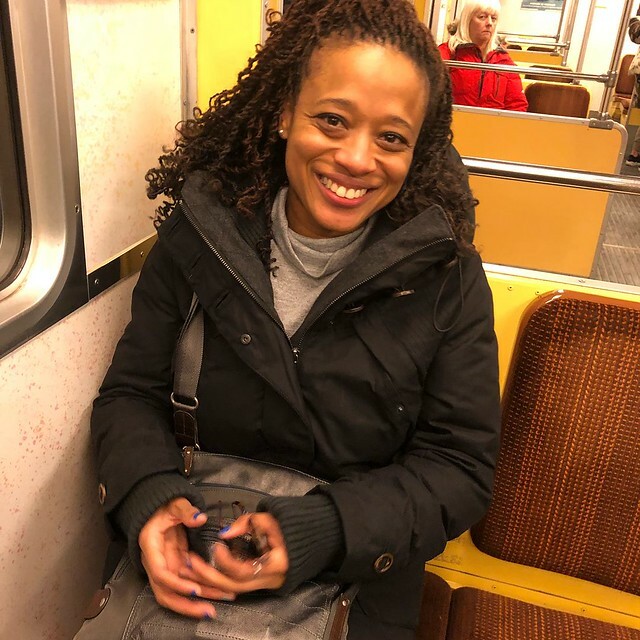 Crystal Brown is a 2017-2018 Fulbright Schuman Student Researcher and a doctoral candidate at the University of Oregon. She spent the past year in Sweden and Denmark researching the implementation of integration policies as an indicator of radicalization among immigrant communities. Articles are written by Fulbright grantees and do not reflect the opinions of the Fulbright Commission, the grantees’ host institutions, or the U.S. Department of State.